Android is most popular buzz these days covering more than 80% of smartphone market share. This is because the Android OS is an open-source OS and is under continuous development. Google has basically revolutionized the process of creating a dedicated mobile phone OS which has largest app store with more than 1.6 million apps. This led to need of android installation on PC for the purpose of app development. 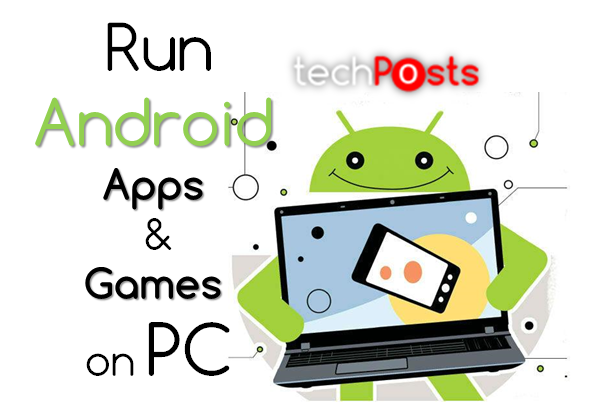 There are so many different ways you can run or play android apps on PC like Andy, Bluestacks, Android SDK (Virtual Box), Android-x86 andmost recent Console OS which is based on Android 4.4 Kitkat (still under development). 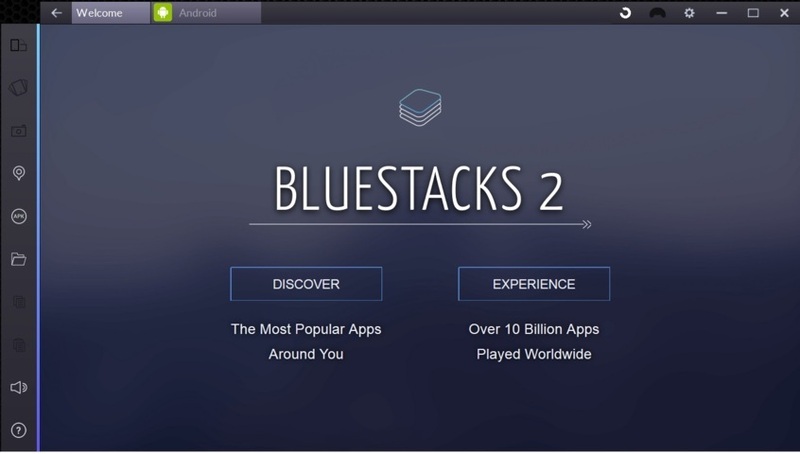 Recently a new much upgraded version of Bluestacks was released called Bluestacks 2. 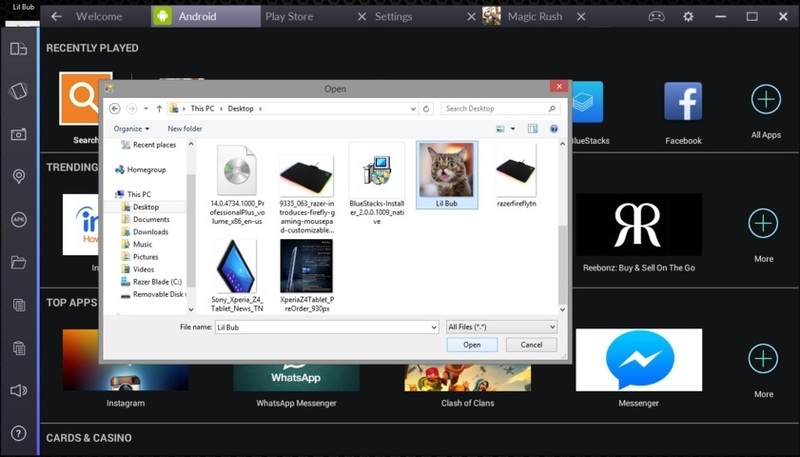 Bluestacks 2 is a freemium android app player for Windows which can emulate popular android games and apps such as Candy Crush Saga and WhatsApp Messenger while you can work on PowerPoint in another window. The Bluestacks 2 has came with lot of improvement and added features with new UI. Now Bluestack has came even more closer to mobile experience only if your system has a touchscreen like mine. Only thing that is missing is the motion detection as now Windows tabs are coming with built-in motion sensors. It has a toolbar of buttons where you can tap to shake the device virtually or rotate the screen etc. If your device has a touchscreen, the experience is almost like using a android tab but you can also navigate through trackpad or mouse which feels little awkward using first time. Currently Bluestacks 2 is only available for Windows currently and for Mac users the update will come soon. till than Mac users can keep using original Bluestacks. If you want to give Bluestacks 2 a try or use it then click on the download button below to visit the official site and download Bluestacks 2 – Android App Player. The program requires minimum 2GB of RAM and 9GB of disk space. It’s a very heavy program and uses most resources on your system when you run it. So you might experience lags or system slowdown on old systems. To install it, Download the .exe file (Download link provided above) and install it like you install any other program on Windows. 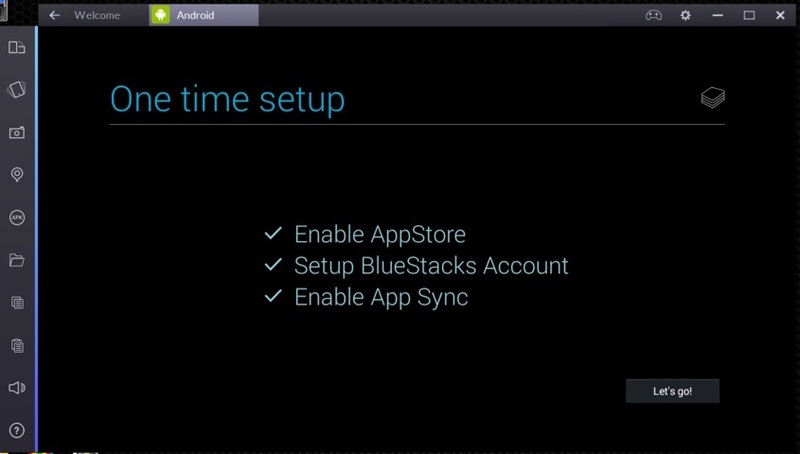 After installtion, restart your PC to start using Bluestacks 2.
sideloading apps by double-clicking an APK file from your desktop. Also, sideloading apps will work like a charm this time. Bluestacks 2 is still buggy but on the other hand, it has improved a lot from it’s predecessor. You can play any android game or app but there are some software limitations. If you have a fairly new system with fair amount of RAM (4Gb), you can enjoy this emulator but for those having old laptop with less than 2GB or 1GB RAM, can definitely install the Android OS on their PC via Android-x86 to enjoy Android on PC. Want to Know more about Android-x86 installtion, click now?